C2C is experiencing an issue sending automatic emails from C2C, including account creation verifications (with the passwords). They have contacted their hosting service regarding this issue and hope to have it resolved soon. 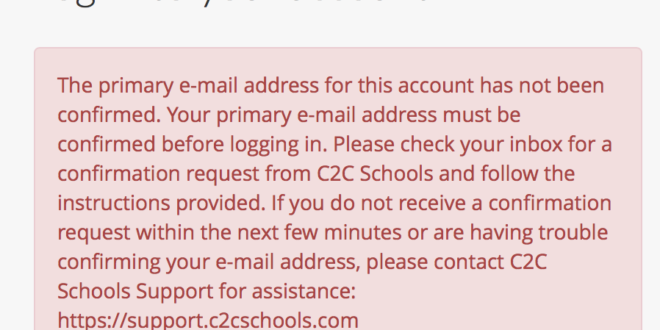 If you are unable to log in to C2C, please send an email to info@c2cschools.com .